Seattle, WA — Strategies 360 proudly welcomes Ben Winston, one of the country’s brightest up-and-coming political pollsters, to the firm’s growing research and polling operation. As Research Director, he will help clients across the west and in Washington D.C. address pressing questions and advance progressive change through public opinion research and strategic advice. With a background in political psychology, Ben has specialized in research on electoral politics, campaign finance reform, healthcare, and race. Over the past seven years, he has polled for four sitting U.S. Senators, run the University of Southern California / Los Angeles Times statewide poll, and aided several major corporate brands and organizations with nuanced analysis of market trends. In 2018, he played a key role in the Democratic Congressional Campaign Committee’s national research, sharpening its messaging as Democrats picked up 40 seats and won the House. His research on low-propensity voters drove the DCCC’s historic $30 million investment to turn out diverse voters, women, and millennials. “Ben’s political acumen is a great asset. His innovative approach to research and whip-smart analysis means our clients can access the best information to successfully drive their messages forward,” said Ron Dotzauer, founder and CEO of Strategies 360. Ben is most interested in finding out what issues, emotions, and messages motivate people to vote, support a cause, or buy a product – and then how those motivations can be reinforced or changed. A trained moderator, he has overseen over 50 focus groups across the country, on topics ranging from elections to healthcare to campaign finance laws. Ben also has significant experience using emerging online technologies like Qualboards, online focus groups, and mixed-mode methodologies to meet clients’ needs in an environment where fewer people take telephone surveys. Ben, who will work out of Strategies 360’s Seattle headquarters, is no stranger to the Pacific Northwest. In 2017, his research helped Jenny Durkan emerge from a crowded field to be elected the Mayor of Seattle, and in 2015, he polled for Honest Elections Seattle in the successful effort to pass I-122, which implemented numerous campaign finance reforms and the democracy voucher system the city uses today. 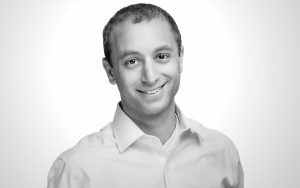 Prior to joining S360, Ben was a Senior Associate at Greenberg Quinlan Rosner Research, and Research Director at The Feldman Group in Washington DC. He graduated from Washington University in St. Louis with degrees in Political Science and Psychology. Outside the office, he can usually be found on a soccer field.